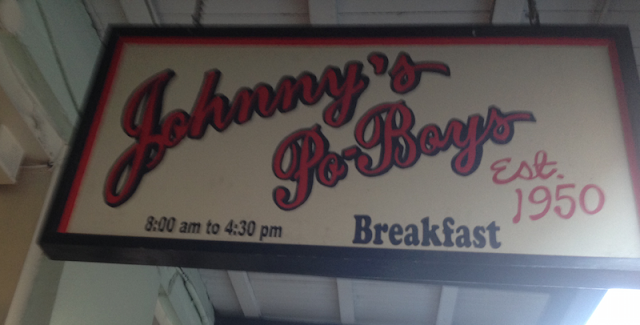 Johnny’s Po-Boys was the next stop on our Tastebuds food tour. Johnny's Po Boys is in the French Quarter of New Orleans and a short walk to the Mississippi River. 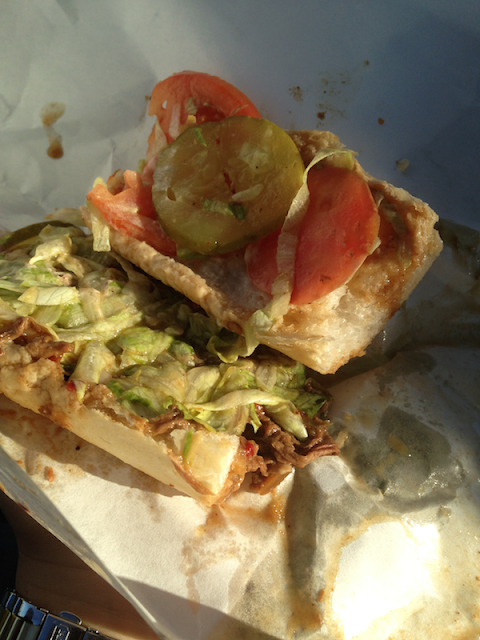 On our tour, we ate half a roast beef po boy. The bread was fresh, the beef was tasty, and the dressings were well done. Some critics call Johnny's Po Boys the best in New Orleans, although for a roast beef po boy try to get over to the Irish Channel in the Garden District for the po boy at Parasol's Bar and Restaurant which is meatier and has a thicker, more flavorful gravy (see my post on Parasol's Bar & Restaurant). Johnny’s Po-Boys was seen on FoodNation with Bobby Flay.